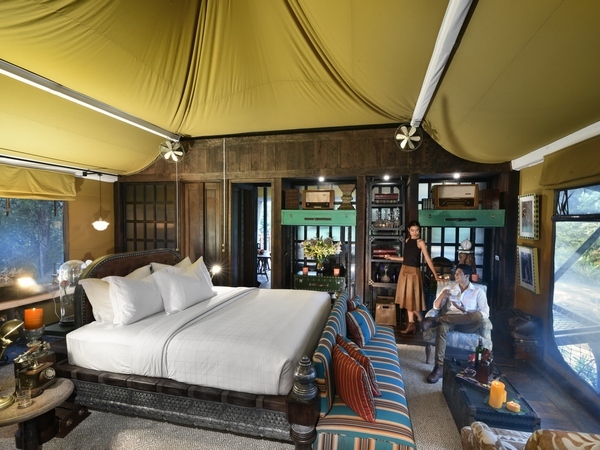 Set deep in the jungle between three of the country’s most important national parks, Shinta Mani Wild takes a new stance on Cambodia’s camping experience with world-class design and a strong commitment to sustainability. 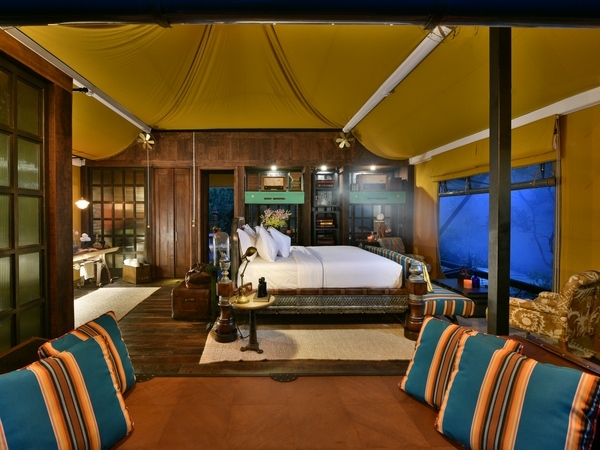 The resort occupies a prime location amidst swathes of wildlife-rich jungle between the Kirirom, Bokor and Cardamom National Parks. 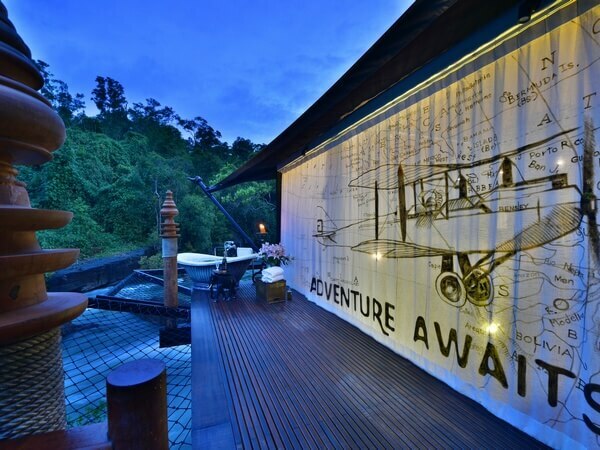 The 15 stilted bungalows overlook the rivers and waterfalls and boast stylish interiors with canopied ceilings, dark wood beds, rich fabrics and antique-style furnishings. 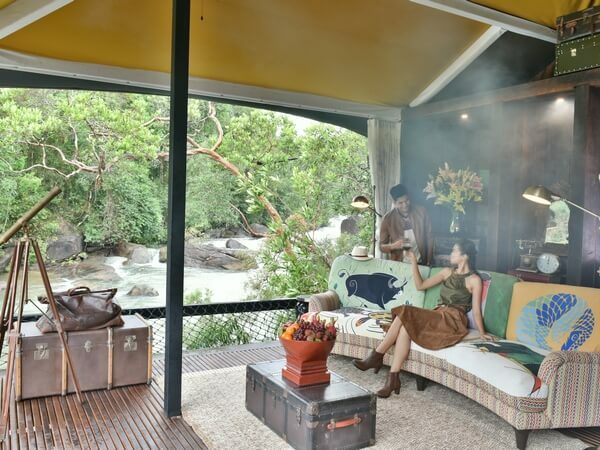 You’ll also have your own private terrace to enjoy, the ideal spot to soak in the sights and sounds of the forest. 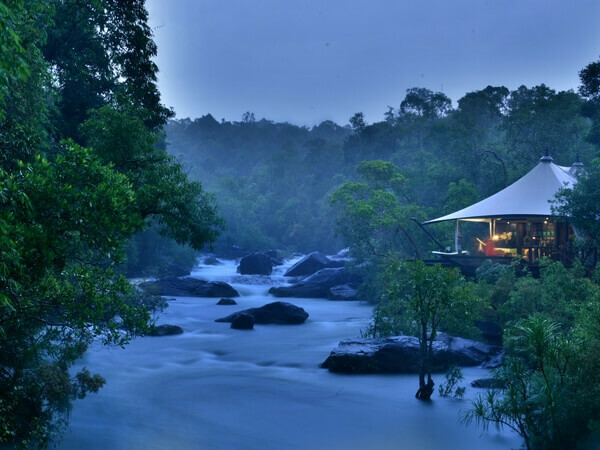 From the locally sourced ingredients featured in the restaurant to the natural products used in the spa, Shinta Mani Wild has a strong eco-friendly ethos and a firm commitment to supporting local communities. 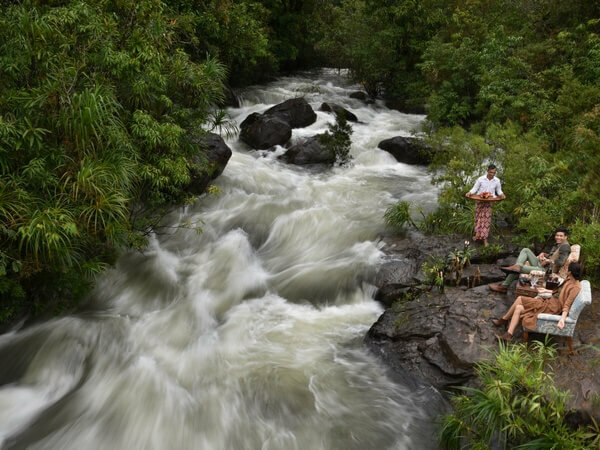 As well as working to keep the area free from poaching and illegal logging, the property allows its guests to join rangers on forest walks to monitor wildlife and camera trap footage. You can also forage for herbs alongside the resident chef and explore the surrounding waterways in one of their luxury expedition boats.